This is the first article in my series about amateur satellite making. A band of coders, makers, artists, and part-time engineers are building a lunar orbiter. They joined Nasa’s CubeQuest Challenge, a multi-year competition which will send three CubeSats to the Moon. The satellites will ride on the Space Launch System’s first Engineering Mission and demonstrate new technologies in propulsion and communication. I interviewed Wes Faler, Project Lead at Team Miles, about his company of “citizen inventors” who answered Nasa’s call. We’re building of course a 6U satellite. It gets kicked out from [the SLS] just past the Van Allen Belt. It folds open and uses fourteen thrusters, putting on the brakes, and it makes its way to the Moon in about eight days. We spend about sixty days around the Moon, mostly just to prove that we did it beyond a shadow of a doubt so we win some prize money. And then we break loose and head for Mars! So we don’t mess with quarantine issues, when we get to ten/twenty million kilometers from Mars that’s where we call it good enough and that’s where our satellite stays. Nasa created the CubeQuest Challenge to extend the CubeSats' usefulness beyond Earth orbit. The CubeSat standard lowered space projects’ cost and shortened development times. Unfortunately today’s CubeSats are designed for use in the relatively sheltered environment close to our planet. The much harsher conditions and vast distances of interplanetary space require new approaches to both propulsion and communication. Once in space, the CubeQuest teams may compete in two races. Teams in the Deep Space Derby demonstrate innovative communications techniques that will work across tens of millions of kilometers. Teams in the Lunar Derby, including Team Miles, focus on ways to move really small spacecraft through deep space without large engines and propellant tanks. Our approach to CubeQuest is a couple-fold. We’ve got a few technologies we want to demonstrate. The ConstantQ(TM) plasma thruster accelerates ions and electrons separately [using a laser], exploiting the expelled electron cloud and unsteady flows to enhance ionic thrust. The thruster itself is tiny, about 20g, 1x2x3 cm, and full of 3D-routed wires and parts, much like a 3D puzzle. CubeQuest is a way to demonstrate that - and for us to break into the aerospace market. The other approach to the CubeQuest is, frankly, for our team members to learn as much as possible about aerospace across as many disciplines as they can handle before their ears bleed. Learn about aerospace? Most of the volunteers in Team Miles have absolutely no experience in the space industry - and Nasa likes that. The space agency’s Space Technology Mission Directorate created the Centennial Challenges program to foster more diverse perspectives. At times its existing ecosystem of contractors, research scientists, and engineers can fall into groupthink - applying the same solutions to the same problems. That is a big risk for an agency dependent on innovation. Hardware hackers, artists, students, and entrepreneurs look at things differently and can bring a fresh approach to technology development. Nasa organizes its challenges as open contests with multi-million dollar prize purses that attract inventors with big dreams and big ambitions. Well, I myself am an inventor. I had a mid life crisis a number of years ago - its debatable whether it stopped or not! I dug up a plasma thruster idea I had back in high school that I set down for marriage and a career in software engineering. I met one of the other guys in our group. He and I were building these ionic wind things called “lifters” - three sides of aluminum foil that lift off the table. We held a few workshops at the local community college, had a little club going on for a while, and when Maker Faires came up we got into Maker Faires and started going to those. [When] I moved down here to Tampa I got connected to the Tampa Hackerspace so I met a lot of friends down here. When the CubeQuest Challenge came up I said maybe this would be a good thing to do with my plasma engine. I talked to some of my local friends. Enough of us were, so we said lets try it! It was basically from the maker movement is really what energized us and pushed us together. Many Motivations, One Goal: To the Moon! Team Miles call themselves “citizen inventors”. They combine the maker tradition of curiosity and community with a life-long interest in space exploration. One thing they don’t have is experience in the aerospace industry. We’re mostly software engineers or network engineers, there’s a few hardware people, one of us is an artist. We always wanted to be in [aerospace]. None of us could ever figure out how to make that quite happen. Other things like paying the rent were always more important than going back to school for the paper required to get the aerospace job. Other people are in it - they just want the street cred of having gone into space. They want a potential for a new job. They want a resume line. A pretty wide variety of why people stick with it. Other people joined just because they like me. They go “wherever Wes goes that will be a cool adventure”. And one guy joined because he wanted to look his daughter in the eyes and say “Daddy did something in space!” He wants to be Superman in his daughter’s eyes. I think that’s pretty awesome and I’m not going to screw that up for him. We’re going to make that happen. An artist may seem out of place in a team of IT professionals and engineers, but Wes explained that Jay Kent has become an invaluable member of Team Miles. I certainly believe you should have an artist. Every engineering team needs an artist or a sculptor on board. Jay is a trained sculptor, artist, blacksmith, has a degree in these kinds of things. Early on we were trying to figure out how do we build a giant sphere [to do attitude control testing]. So me and a couple of the engineers that are actually, you know, engineers in some sort of training we’re sitting there and we’re trying to figure this out. It was a little 2001 apes with the bones kinda thing because it’s a materials science issue. All of a sudden it became clear that here you have somebody with a whole different view of materials and their interaction and their uses than an engineer is going to have. Mixing those two is powerful. Jay answers those questions [that cross the entire project] better than anyone else because he’s had to do the artwork for every single chapter we’ve had to turn in. He knows the technical details, the whole spectrum, better than a lot of the engineers who [focus] in their particular niches. it takes a spectrum of people on a project. I think that’s a story of hope for the citizen scientists out there. Of course getting a bunch of people together in a hackerspace is one thing. Actually building a spacecraft that can go where only a few space agencies have gone before is another thing altogether. Wes and his team have had to face the challenge of being an all-volunteer team in a high-pressure engineering contest. You need people who are comfortable communicating, spreading that knowledge, stirring it around. We [had] fifteen people [at first]. That’s a little bit in flux. We hit GT2 [Ground Tournament Two], everybody pushed really hard, and now a couple of people are realizing what they can and can’t contribute timewise. We’re back in the dozen range right now. I thought we had a pretty stable team but now we’re back in recruiting mode. Part of the pressure comes from the fact that nobody on Team Miles gets a paycheck. The team has earned $50,000 for its performance in the first two Ground Tournaments, but that is hardly enough to support fifteen people and their families. Why so little? While Nasa will award up to $5,500,000 in prizes, the contest backloads the prize earnings. Each team can earn up to $100,000 across a series of four Ground Tournaments that run through early 2017. The remaining prize money - $1,500,000 for the Deep Space Derby and $3,000,000 for the Lunar Derby - only gets distributed after the satellites ride into space a few years from now. The team members must balance their work developing a CubeSat with their regular lives. I would like to say we are all professional rocket scientists having won some money from Nasa but that’s a little hard to say. We haven’t paid the team members anything, we can’t afford to pay anybody! We have to turn in every month to Nasa our finances - how much money out of pocket and how much in-kind money or hours. We’re approaching about a million dollars in volunteer hours, so yeah, that’s a lot of volunteer hours! We figured we’ll take a payment in the prize money [at the end of the contest]. There’s some uncomfortable conversations to get a team agreement in writing to figure who owns what part of what. If we do cash in, if we do get prize money, if we do build commercial products. Who gets what. Those are some really sobering conversations you don’t normally have with friends. Normally money makes people weird and it has not made anybody weird on our team. That’s just because a lot of us are friends to begin with. Balancing family life, a day job, and a space development project would be enough of a test for seasoned aerospace engineers. As Wes said earlier, most of the team are software and network engineers. Adjusting to the aerospace culture requires a new way of looking at things. One of the big learning curves is working with people who are from the aerospace field. I come from software development for factories. I really see a big difference. Aerospace people seem all about the nuance. They understand the nuance can make or break a mission and nuance is hard to document so you have to talk to people to learn nuance. A person from industry will go into a town and would first search for the Yellow Pages to find the solution in the Yellow Pages. An aerospace person will go into a town, find the local diner, go up to the bar, get a cup of coffee, ask the waitress who knows about this? She’d point over to that table, [the aerospace person would] buy them a slice of pie, and talk about the details they’re never going to publish. In industry we expect big town mentality, in aerospace we expect small town. Another task for Wes’ team was learning how to work within the Centennial Challenge process. The temptation of a multimillion dollar payment almost led them astray. Part of the learning curve with CubeQuest has been to pay attention to the documents Nasa requires of us. To study the structure of those required documents in order to treat that as the goal state and understand what’s important and what’s not important to learn. When we first started the project I was out on the beach here in the area just watching the foam roll in. I called a friend and said alright I’ve got a good kickass thruster, but this is also a communications contest. What could we do about communication? So we brainstormed some in-space communications system - a phased array system that’s manufactured in space. We registered the team and brainstormed what we could do from receivers on the ground and came up with some good ideas and got patents rolling on these things on the communications side. Then we looked at the game because it is still a game. We’re all gamers, right? We looked at the rules. It’s kind of funny how they score it. If you go after two prizes and you get, say, an A-, a 90% on each prize, then your overall score is B- because 0.9 times 0.9 is 0.81 but if you go after just one prize at 90% than your score is 90%. If you get less than 100% on any one of the prizes, you’re tilting. It’s just going to drag down your strongest one. There’s no bonus for going after multiple prizes. We looked at the spreadsheet Nasa gives us and said, you know it makes sense to fill in the spreadsheet this way and leave off communications. So we decided to focus at first [on propulsion] and then later in the Ground Tournament Three and Ground Tournament Four expand what prizes we’re going after. It’s like learning to study to the test rather than going to the library and just learn about aerospace. Once we cracked that code that it was the way efficiently to learn - that made a big difference for us! While Wes and his team are new to the space business, that’s relative to traditional aerospace engineers. He and fellow team member Frank Fomby contributed to one of the surviving teams in the Google Lunar X-Prize contest (GLXP). Announced in 2007, the contest pit thirty-four privately-financed teams in a race to land a spacecraft on the Moon. Part-Time Scientists, a seventy-person international team based out of Germany, is one of the sixteen surviving teams. I asked Wes what lessons he learned from his experience in the X-Prize. One, don’t be an American on a foreign team. It really cramps how much work you can actually do. Not because of foreign language but due to legal restrictions. There’s only so much software I can produce for a foreign team without having to file paperwork with the State Department! They weren’t looking for a software team leader, they were looking for a lead software engineer to write a lot of code and for other people to add little bits here and there. Despite having a large number of volunteers, there are a relatively few number of people making on a sub team who are actually active. I think I had 20-30 people working for me. It was very hard to get 2 or 3 people to contribute code every month. It was head scratching, baffling, and something I didn't understand how to change. That’s not a sustainable thing. I realized once I started CubeQuest that it could not be something where I am doing a lot of work and other people are just filling in little things. Again this is the small town metaphor. I need to set up the town, the gas station, the grocery store, the banks. Start plugging people together and step back. It’s growing Sim City - the SimQuest Challenge! The XPrize Foundation’s contests and Nasa’s Centennial Challenges have a similar business model. They both leverage prize-based contests to channel the investment of entrepreneurial-minded inventors to solve technological challenges. But beneath that superficial similarity lie distinct differences. When you run the milestone prizes publicly you give the investors a way of judging or ranking teams. That made a difference for Part Time Scientists. The Google Lunar X-Prize eventually awarded Milestone Prizes to teams that demonstrated technological progress. Part-Time Scientists won two of those prizes, earning $750,000 and landing a sponsorship from Audi. 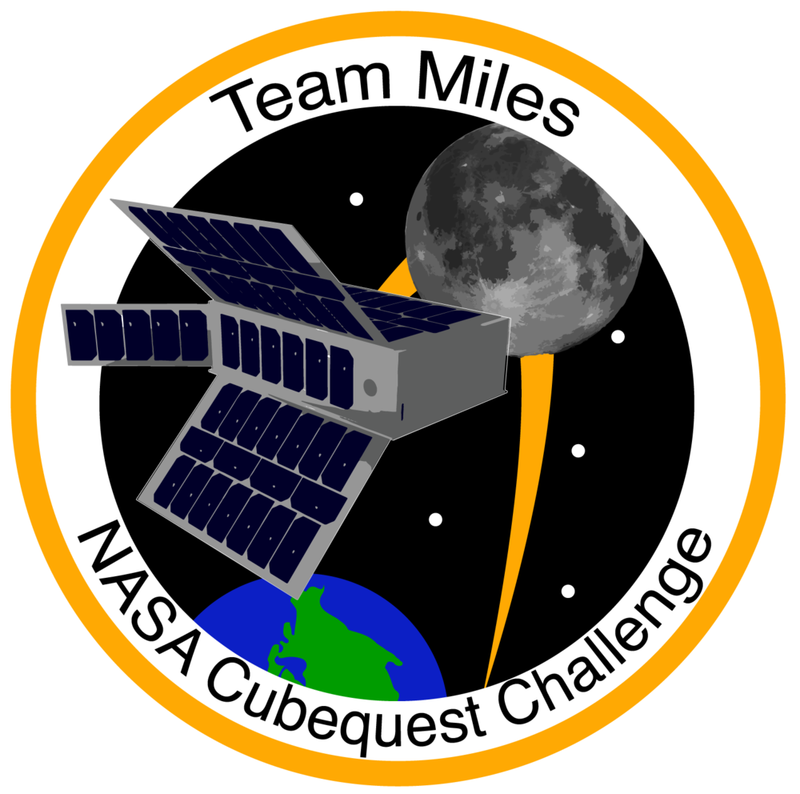 Nasa created the four Ground Tournaments as milestones to review the CubeQuest Challenge teams’ technical designs and development progress. Participation in all but the final Ground Tournament is optional, but Wes explained to me how the cadence of Ground Tournaments helps his team manage their schedules. There’s none of that pacing [in the GLXP]. The teams have to decide on that pacing and it became almost voluntary. So the mandatory pacing really helps. I don’t know again if CubeQuest was intentionally doing these things. But having a regular clock and delivery skeletons and public progress really made a difference for us. What kind of difference? Nasa’s judges awarded Team Miles first place in the first Ground Tournament and placed them in the top five for the second Ground Tournament - the only non-university team to perform that well. Team Miles' hard work and dedication has already paid off outside of the contest. I asked Wes if he could explain what the performance of his team of citizen inventors means for aspiring space makers? That’s probably best summed up in the first summit that Nasa had. Somebody - and I wish I knew who to give them credit - asked Nasa if we turn in a project and its using technology, products you’ve never seen before are you going to rate that really low because its highly risky and because you haven’t seen it therefore it must not be good? Jim Cockrell [Nasa’s CubeQuest Challenge Administrator] replied that, no, they specifically have recruited judges intending to look for brand new technologies and “new” might actually be good for them. It offers a little hope. It means your new idea your wild idea has a better chance of being seen and appreciated and understood and thought about by Nasa than it ever has in the past. if you’ve got a product idea, if you want to break into the market, like I’m trying to get my thruster in to the aerospace market for instance. A public vetting - that’s huge for me getting that business going. Much better than bidding a contract in private. We’re calling around for sponsorships - Frank is an expert at this - and he starts talking to somebody regarding communications and it turns out they can really use the intellectual property we have in communications. So now we’re full on making a prototype for them and that’ll probably be a commercial product before we win the next Ground Tournament. You’re going to build assets, you’re going to build knowledge, connections, etc. And how you use them will be completely unknown to you at the beginning. You won’t be able to really predict it. Given the upside potential that a Nasa seal of approval offers - and the chance for spinoff products - you would think that small businesses rushed to compete in the CubeQuest Challenge. In fact nearly twice as many university-led teams as business-led teams registered for each of the Ground Tournaments. I have personally been shocked at the lack of [small business] teams in the CubeQuest Challenge. We predicted several dozen teams would join CubeQuest if for nothing else but to market some new product. Why aren’t they submitting something? I don’t understand that other than I think they weren’t aware of it or they weren’t aware of the marketing potential and still thinking in the aerospace mindset and not the industry mindset. A competitor may yet wait in the shadows. Nasa only requires teams to compete in the final Ground Tournament in early 2017. That leaves time for other businesses to take up the challenge. I closed our conversation with one final question - what advice would Wes give to people considering a run at a future Centennial Challenge? Don’t over think it just get involved. A little willful naivety will get you started. Once you’ve got some momentum look for the lessons, the signposts, and just keep at it. It’s better than sitting on the sidelines and just thinking about it. You won’t have it to take advantage of if you don’t get started. So get in there and get going. With that I was ready to end the interview when Wes turned the tables on me. May I ask some advice? When we talk to people - we go to Tampa Hackerspace and Maker Faires and such - we show our model satellite. When we talk to adults - not children - and say we’re doing rocket science, most of them tune out. You get a lot of respect for it, but it really bites conversationally. It shuts down the conversation. Now children. No problem with talking with children. We say look we’re in a contest with Nasa. Any of you guys been in a contest? And hands go up. So we’re in a contest with Nasa and we’re hoping that they take our satellite partway to the Moon and then they’re going to kick ours out with the others and then we’re going to drag race to the Moon for millions in prizes. You say that and their eyes go boom! Wow! You see a few gears turning in the adults who are watching but that sense of wonder is largely squashed. It’s a little sad to see. That question drives me bonkers! Towards the end of the day my answer is usually. Well, if you told me you were going to get into an F16 and fly to New Mexico, and I asked you what you were going to do when you get there, wouldn’t you be upset because I totally missed the part about flying an F16? Right now their body language is closed and in their mind “yeah that’s not interesting unless there’s something I care about that’s there”. I want to open their mind. Here’s a deck of wonder, a deck of wonder cards lets put some wonder back in you. I want to be credible like citizens have a shot at doing this. We’re not psychiatrists or marketers. We need help with this. How do you reach that person? What can I say to have the citizen not shut down at the mention of rocket science? Edit 4/20 - Clarified Wes' comment about Part-Time Scientists to reflect that the unproductive situation was one of his making. I trimmed Wes' comment too far in the interest of readability and regret any confusion it may have caused.